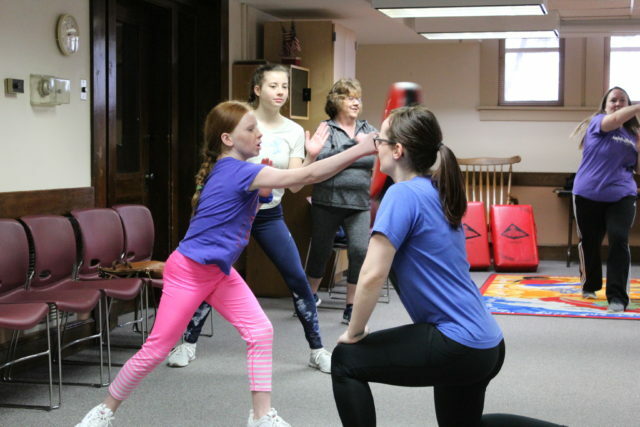 With mom Danielle on her right and sister Whitley, age 15, on her left, Kaegan Freeman-Russell, age 12, gives a fierce shout as she strikes out against her self-defense instructor at the Ida Public Library. “January was Stalking Awareness Month,” said Mindy Long of the Ida Public Library. “So we asked if they (Remedies Renewing Lives of Rockford) would come back to talk with us again. A lot of people have been talking about self-defense so that’s what we requested Remedies to present today (Saturday, March 30). Remedies is the only domestic violence shelter and advocacy agency in Winnebago and Boone counties. Each year Remedies serves over 1,500 victims of domestic violence, roughly 20 percent of them are children. 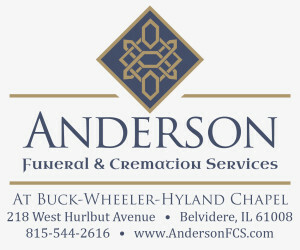 For complete article, pick up the April 11 Belvidere Republican.